The regenerating effect of tourism is currently focused on a small section of Inca sites. In conjunction with COPESCO, we are working to spread this across a much larger area of Peru. 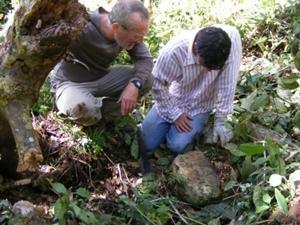 How can volunteer archaeologists and geologists help in Peru? Joining a team of researchers compiling a report into the history and physical condition of new Inca settlements. Organising fieldwork projects involving field walking, excavation and mapping. Helping with training clinics for Projects Abroad volunteers working at other sites (optional). Working in other areas such as community development and awareness projects. The work is performed in conjunction with COPESCO and the INC (Instituto Nacional y Cultural). This means that to a certain extent the exact work available depends on what the INC is focussing on during your trip. Volunteers normally work 5 days per week and have their weekends free to spend in local towns. A regular week will be split into 2/3 days of fieldwork and 2/3 days of community projects. The wet season in Peru is December to Mid-March. The amount of fieldwork available at this time is more limited so volunteers should plan accordingly. The project runs all year round and we are flexible about dates. You decide how much time you can spare and we will help you get the most out of it. This project will give you the chance to work in one of the most famous archaeological areas in the world. You will work alongside well-respected professionals who will want to share ideas with you. 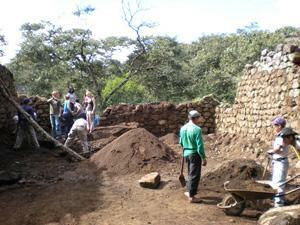 You will also get the chance to work in local communities, sharing your passion for archaeology. Safe accommodation with volunteers and staff in a shared house in the town of Huyro. If you have completed at least a Bachlors Degree in Archaeology or Geology then you are perfectly suited to this project. If you are interested in this project but don’t have the relevant experience, then please read about our regular Archaeology project in Peru.